The biggest decision with refrigeration is whether to have it built-in hidden behind a kitchen door, or to go for freestanding. There are a multitude of options that your Crown Specialist can guide you through. 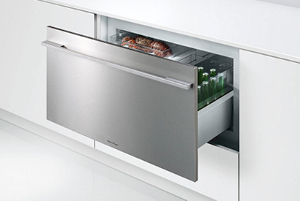 Not to mention innovative products like refrigerated drawers and wine coolers to consider. You can choose from many integrated models, all offering different combinations of storage options. There will be a model that fits seamlessly into your new kitchen. Crown Imperial offer a bespoke custom size panel service in numerous ranges to perfectly integrate your refrigerator into your new kitchen. 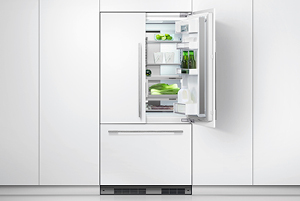 Make a premium side-by-side refrigerator the centrepiece of your kitchen. The side-by-side combination offers ample space for the weekly food shop for the whole family. The design is sure to make it a talking point in any kitchen, every stylish detail – from the door handle to the shelves – is of the highest quality. Whether you prefer red, white, rosé or sparkling we have range of single and multi-temperature wine cabinets for all your refrigeration needs. 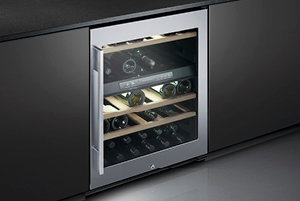 A wine cellar in the kitchen, perfect for the connoisseur, or for entertaining. 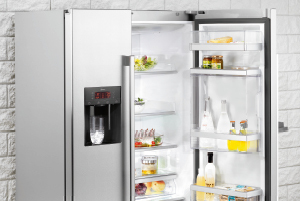 We have a range of unique refrigeration products from leading manufacturers that will surprise and intrigue you. There is a lot more to refrigeration than you might expect and your Crown Specialist is there to explain all your options. Our Crown Imperial specialists work with you to get the design, colour, specification and price of your furniture just right, so when it's finished, it fits perfectly around you. Each kitchen is purpose-built for your home by skilled craftspeople, who take the time to create something unique and personal for the hub of the home. 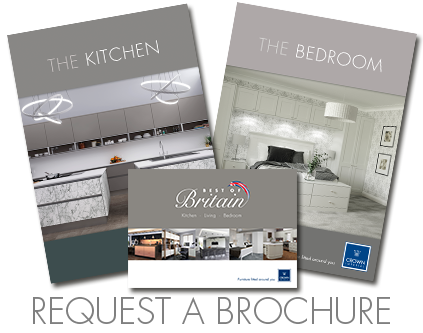 With over 70 years furniture heritage, 3D planning and design, state of the art manufacturing facilities and a nationwide network of specialists, we have the perfect kitchen for you. We offer appliances, refrigeration, sinks, taps, work-surfaces, lighting and accessories from all the leading brands. Soft-close doors and drawers come as standard as you would expect, and we also offer luxury drawer upgrades. Custom panels are available to order for bespoke fitting, along with our vast and flexible range of cabinets that include medium and high wall options.